Consumers In 'Grandfathered' Health Plans Can Face Higher Costs : Shots - Health News These older policies existed before the health law was enacted in 2010 and haven't change much. They cover about a quarter of insured workers, and aren't subject to the same rules as Obamacare plans. 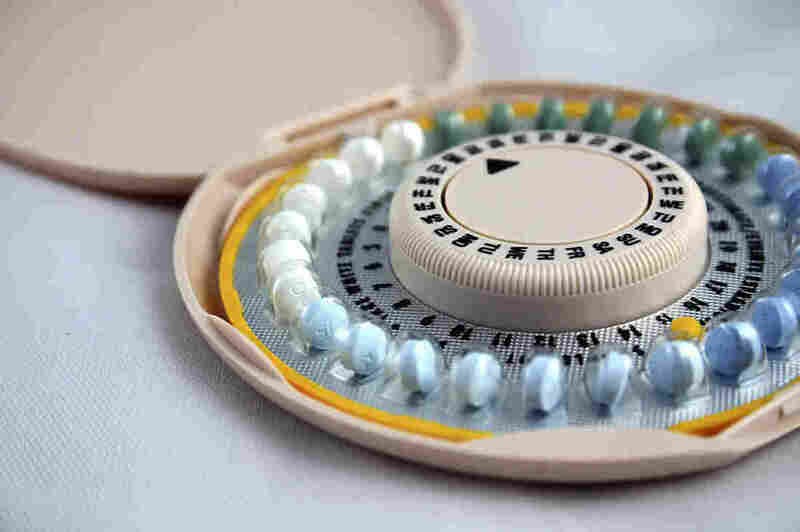 Health plans begun under the Affordable Care Act are required to cover FDA-approved contraceptive methods without cost to members. Older plans are exempt from that rule. Judy Naillon called her insurer several months ago to find out why she was being charged $35 every month for birth control pills. Her friends said they were getting their pills free under the federal health law. Why wasn't she getting the same deal? The insurance representative explained that was because the plan Naillon and her husband had through his job was "grandfathered" under the health law. In other words, unlike other health plans, Naillon's insurance policy, which existed before the health law was enacted, doesn't have to cover many preventive services, including contraception. Naillon would have to continue to pay a share of the cost of her pills, the insurer told her. The plan also wouldn't pay if she wanted to switch to an intrauterine device, and there's no coverage for an annual physical. "I'm just really frustrated," says the Wichita, Kan., music teacher. When her husband took a new marketing job last fall, she says, "I thought that surely all these insurers must now be covering these benefits." About a quarter of insured workers today are enrolled in grandfathered plans, according to the Kaiser Family Foundation, and these plans haven't significantly changed their benefits or costs to consumers since 2010. These older plans differ in other ways, too. They don't have to guarantee a member's right to appeal a decision by the insurer, for example, and may charge consumers higher copays or higher co-insurance for out-of-network emergency services. The plans also aren't required to comply with the law's limits on a policy-holder's annual out-of-pocket spending (currently $6,600 for someone in an individual plan and $13,200 for families). So, consumers who have these health plans may be on the hook financially for more of their medical care than people with Obamacare policies. When the health law passed, President Barack Obama sought to reassure anxious consumers by promising that "if you like your health care plan, you can keep it." Since then, the number of grandfathered plans has steadily declined. In 2011, about 72 percent of companies that offered health insurance included at least one grandfathered plan; by 2014 that number had declined to 37 percent, according to the Kaiser Family Foundation's annual survey of employer health benefits. Smaller employers are more likely than large ones to offer the older policies, says Steve Wojcik, vice president of public policy at the National Business Group on Health, which represents the interests of large employers. Small firms typically buy a plan from an insurer that pays their claims. Larger companies, in contrast, often design their own plans and are self-insured — they pay their employees' claims directly. Individual plans can also be grandfathered. Some people who study the insurance market have two words for the demise of grandfathered plans: Good riddance. These policies lack many consumer protections and are generally subject to weaker regulation, so aren't necessarily good options for people who have health problems. "Grandfathered plans are more likely to hang onto people who are low risk," says Sarah Lueck, a senior policy analyst at the Center on Budget and Policy Priorities. On the other hand, the grandfathered policies may come with lower monthly premiums, and in some ways can be a good deal for people who are young and generally healthy. In order to retain their grandfathered status, the older plans are limited in how much they can increase a policyholder's copayments and deductibles. So, if someone covered by such a plan had a $20 copayment in 2010, for example, the copayment today could be no more than $26 next year, says Joe Kra, a partner and actuary at Mercer, a human resources consulting firm. Likewise, a $500 annual deductible for such a health policy could rise to no more than $652. "If an employee is in a grandfathered plan, they're one of the fortunate minorities," Kra says. But Naillon probably wouldn't agree with that statement. "Even though my doctor would like to do a physical and run labs," she says, "I can't afford to have those services."